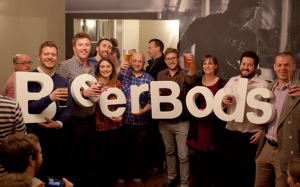 BeerBods is an online beer club and subscription service, based in Worcestershire. They have just become the fastest pitch to fund on Crowdcube, the world’s first (and largest) equity crowdfunding platform. 101 investors put in £150,000 in 36 hours, overfunding the pitch by 150%. 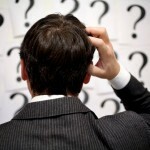 Of these, many were existing subscribers passionate about the product. They include a senior executive at innocent drinks and a former vice-president from Morgan Stanley. BeerBods was started in September 2012 by Matt Lane (now 28). “My aim is simply to get more people drinking better beer” he says. Matt does this via an online club where members pay £36 every quarter to receive a case of 12 different craft beers. Subscribers drink the same beer (just one) every week and come together to talk about it online. “The power of the internet and a bit of clever logistics means our subscribers are discovering, learning about and enjoying each beer together” explains Matt. The community grew to 1,000 subscribers in a year and now has over 1,500 members. Matt plans to use the investment to scale the business (including adding overseas members), as well as developing more products and services. He’s working with Warwick University’s incubator programme on a feasibility study for his export plans to identify which markets and what strategy will be best.